Niall Services offers a full range of testing and certification services including pre-assessment, gap analysis, batch testing and full compliance testing. 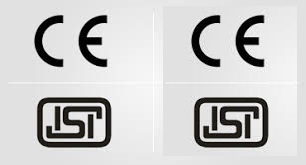 As the leading consultancy for Ex Product Certification (CE, UL, API, RoHS, ISI etc. ), Niall Services sets the standard with our range of Quality Assurance, Functional Safety, Training and Personnel Competence Certification services. Our large team of experienced compliance engineers deliver a flexible and commercial approach to approvals, offering you a single point contact for all your product certification compliance and hazardous area requirements.